Off to the Peach Bowl. 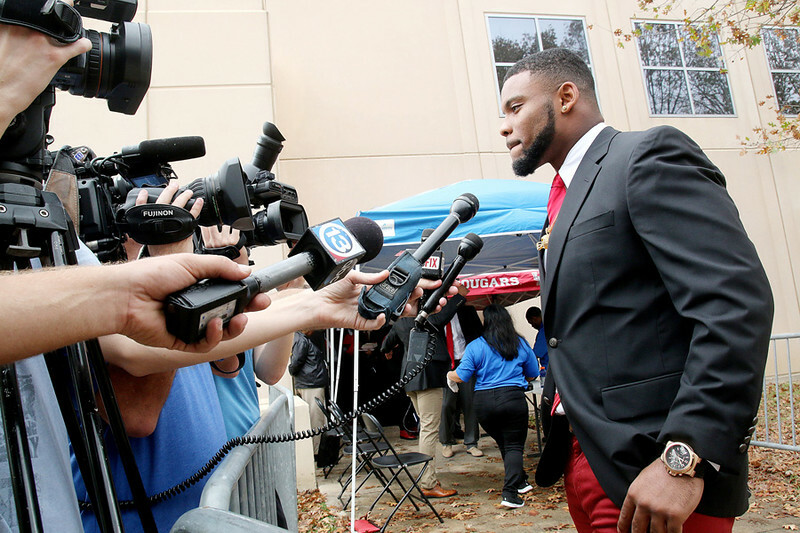 Elandon Roberts (LB) talks to the press before boarding. Photo by Pin Lim.